So you read my blog title and you are asking yourself, what is Awen and why is it important? Great questions! Some define Awen as a Welsh, Cornish, and Breton word for poetic inspiration. Others claim it is a loose Welsh translation meaning flowing spirit or flowing inspiration. 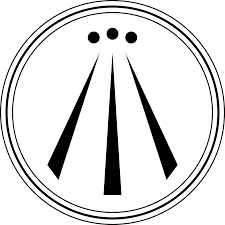 For me, Awen means divine inspiration, however you define the divine. When I open to Awen—as I do when I do readings—I awaken my awareness to something that is connected to me but is infinitely more. When I am connected to Awen, I am connected to my spiritual guides. For Awen to exist within us, we must be inspired. 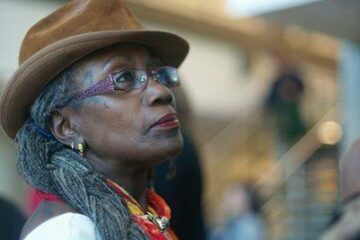 We cannot be inspired unless we are open. And it is not just about being open, we must be open to something whether it be a deity, an element, a spirit, fairy, or blackbird. How do you know that you are connected to Awen? That is a question new druids ask all the time. No one wants to be relying on something that isn’t real. As I tell those I mentor, Awen feels differently as it spreads through you. I can’t really explain it better than that. Each person experiences it differently, but you know it when you feel it. It will hit you in your soul. Of course, practice helps, because once you learn how to successfully let go and listen to your inspiration, the easier it becomes to repeat it. And when the advice pans out, you begin to trust that you are indeed connected to your guides. This is the connection I work on every day. There is a story we learn as we study druidry. It is the myth of the Goddess Ceridwen and her cauldron. In this tale, Ceridwen decides to compensate her son, Morfran, who is not fair of face, by making him all-wise. To do this, she brews him a magical cauldron of Awen. Ceridwen leaves her cauldron with a blind man and a child while she gathers herbs. Three drops of Awen splash from the cauldron and fall onto the child Gwion’s finger, which burn him. Instinctively, he places his burning finger into his mouth thus gaining three gifts from the cauldron of Awen: poetic inspiration, shape-shifting, and prophecy. While it is but a short retelling of the Tale of Taliesin, it is the tale of drinking in Awen. And Awen is the source of all I do.